You may be wondering about that little outgrowth of skin that popped up on your otherwise smooth skin surface. Most of the time, a skin tag or cyst is nothing more than unsightly, and usually not painful or bothersome. Sometimes, though, there might be more to these common skin flaws so it’s important to know when to have a doctor take a look. Skin tags are narrow stalks of skin that bulge at the end. They are benign, flesh-colored growths that usually develop in areas of the skin that rub together, such as the neck, armpit, and groin. Although less common in children, they can occur in any age group and any race. “They don’t discriminate — they affect people of all ages and body types and can occur anywhere, including the face,” says Dr. Ng. Most of the time, skin tags are just unsightly or annoying but not a health issue. “However, when skin tags are twisted, irritated, or bleeding, this might be a good reason to seek medical attention,” Dr. Ng says. Skin cysts — called epidermoid cysts — are small sacs under the skin that fill with keratin and can develop anywhere. They typically appear as flesh-colored nodules underneath the skin. They can occur in various parts of the body, including the scalp. “If someone suddenly develops a new growth underneath the skin, I recommend getting this checked out by a doctor,” Dr. Ng says. Chances are, it may be a benign cyst but there are various tumors and even malignant ones that can occur as lumps underneath the skin. Dr. Ng says it is best to have it evaluated by a physician if you are not sure what it is. Dr. Ng usually only treats skin tags and cysts if they are painful, bleeding or bothersome to a patient. To treat skin tags, Dr. Ng prefers to numb the area and snip off the tag. “I like the method of snipping best because it’s clean and the skin tags are gone by the time the patient leaves,” she says. Another possible treatment is freezing, which will cause the tag to fall off after about 10-14 days, she says. However, freezing can cause greater inflammation to the surrounding skin. A third option is to perform electrodessication, which is a surgical method of drying out tissue by touching it with a needle-like electrode that passes electric current into the tissue. One thing to keep in mind, Dr. Ng says, is that skin tag removal is considered “cosmetic” by most insurance companies and usually is not covered. These arebenign and often times, no treatment is necessary. But if a cyst becomes inflamed, infected, or painful, these are good reasons to see your doctor. Cysts can be injected with steroids, which are sometimes mixed with an antibiotic. “I prefer this because it can decrease the swelling and pain without creating a scar or wound.” Dr. Ng says. Sometimes, cysts have to be opened up and drained. This will leave a scar and the cyst can come back. Finally, cysts can be excised but the patient will be trading a bump for a scar as well. 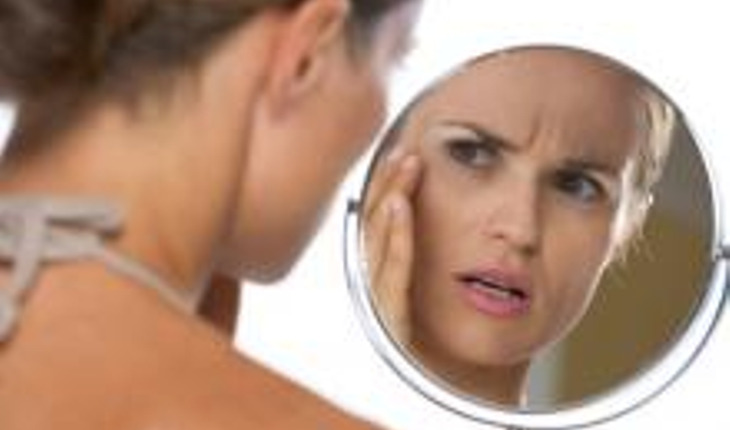 It can be tempting to try squeezing a cyst or slicing off a skin tag. Over-the-counter compounds claim to remove skin tags, and YouTube videos claim to demonstrate methods to treat both at home. However Dr. Ng warns against such do-it-yourself treatments of these skin conditions. DIY attmpts can cause bleeding and infection.